Spring is finally here and we all come out of hibernation and look forward to being outdoors to window shop, dine al fresco at your favorite restaurant, take a leisurely ride on your bicycle, hike or go for a run in the neighborhood to breathe in the fresh spring air. Before you do, there are certain safety precautions we all must be aware of this season. With more people outdoors walking and on their bicycles, you are at risk of getting injured or injuring someone if you are not paying attention to your surroundings. Pedestrians, bicyclists and motorists must all be aware of the possible dangers and responsibilities shared. Each year people are killed or injured in New Jersey from bicycle accidents which have resulted from bicycle-motor vehicle collisions. However, accidents can happen anywhere such as driveways, parks, bike paths and may not involve motor vehicles. The most serious injuries and the common cause of bicyclist deaths are head injuries. The most severe injuries are traumatic brain injuries that can cause permanent damage. So before you get in your car, dust off your bicycle and dig out your running shoes, you will need to prepare yourself and consider some valuable safety tips. Many people take to the streets for a stroll or jog when the weather warms up. Now that spring is here pedestrians and motorists must be more alert than ever for each other. Walking or crossing the street at a busy intersection and even on your local roadways can be extremely dangerous. As of April 1, 2010, motorists who see pedestrian(s) in a marked cross walk must stop for pedestrian(s) and stay stopped and yield the right-of-way to a pedestrian crossing the roadway. Failure to observe the New Jersey Statute 39:4-36 may subject you to one or more violations such as 2 points, $200 fine and/or 15 days community service. Pedestrians must also obey signals and use crosswalks at signalized intersections according to The Division of Highway Traffic Safety. Some safety tips such as walking facing traffic, looking left and right before crossing the street and crossing at corners within marked crosswalks, where possible, are taken for granted and can save you from an unwanted accident or even a fatal accident. Eliminating all distractions especially cell phones can help save your life and/or from an injury. Distracted walking is a common cause of pedestrian accidents and injuries. Statistics show that pedestrians often are unaware of their surroundings while talking or texting and walking simultaneously. Staying alert while walking and do not assume cars will stop while you are crossing the street. Pedestrians need to be aware of the oncoming vehicles and inattentive motorists, as well. Some other tips such as wearing reflective clothing while walking or jogging at night will help motorists see you in the dark. Staying on the sidewalk, if a sidewalk in unavailable, walk or jog as far off the roadway as possible on the left side of the road, facing oncoming traffic. Understanding school zones and speed limits are also important as children are outdoors playing as the weather warms up. Traffic in school zones creates significant dangers for children and crossing guards. Always be on the lookout for children darting out into the street. Investing in proper gear and wearing an approved bicycle helmet at all times when riding is essential. Children under the age of 17 are required to wear a helmet when cycling, roller skating, in-line skating or skateboarding. We urge everyone to wear a helmet that is safe and properly designed regardless of age. Make sure your bicycle is in shape to take you to and from your destination safely. Your brakes and tires should be in working condition in case you need to come to a sudden and complete stop. Other key items on your bicycle that you need to inspect are reflectors, chain(s), lights, bell, and seat height. Bright colors should be worn so you are visible to drivers and pedestrians. Stay alert of your surroundings and of inattentive drivers. Often time, accidents are caused by both bicyclist and motorists alike, due to common distractions such as cell phones or headphones. Identify potential hazards such as intersections, obstructed views, parked vehicles whose doors may suddenly swing open or even pedestrians crossing the street. If there is a bike lane always use it, if one isn’t available or if its obstructed, keep to the right and move with the flow of traffic. As cyclists, you have the same right as a motor vehicle on the road. You must acknowledge stop signs and obey traffic signals and always check twice before crossing the intersection to prevent an accident waiting to happen. At the Todd J. Leonard Law Firm our New Jersey Accident Lawyer has been protecting the rights of personal injury victims and their families for over 25 years throughout New Jersey. We have handled numerous car accidents, bicycle accidents, pedestrian accidents, truck accidents, motorcycle accidents and all other types of serious personal injury accidents and wrongful death claims. 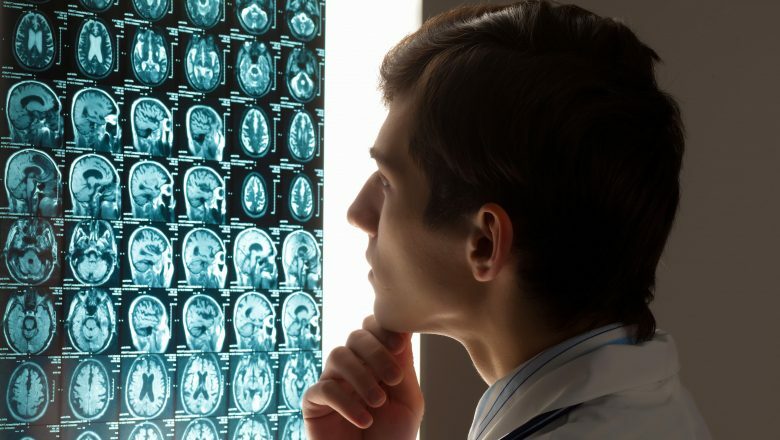 We have extensive experience assisting our clients with all types of brain injuries, fractures, fusions, disc herniations, scarring, burns, amputations, and other serious injuries. Our lawyer is certified by the Supreme Court of New Jersey as a Certified Civil Trial Attorney and is a New Jersey Super Lawyer. If you or your loved one has any questions concerning an accident please contact our New Jersey bicycle accident lawyers now for a free confidential consultation at (973) 920-7900 or via email. We are just a phone call away.